Breaking the Boundaries: Trying Something New! CAPS Peer Educator Marisa Patel shares her experience in trying something new and encourages you to step outside your comfort zone just in time for summer! About halfway through my sophomore year, I decided to join a traditional Filipino dance team housed under the Filipino Student Association. I wanted to join because I have been dancing from a young age, and my roommate, who was already a member of this dance team, assured me that it would be a lot of fun. At the same time, though, I was nervous and feared that I would not be able to adapt to a culture and learn a style of dance that was so unfamiliar to me. It turns out that this was one of the best decisions I’ve made in my undergraduate career. After joining the team, it wasn’t long before I realized that I had joined an incredibly fun and welcoming family that I was sure I wanted to be a part of for the rest of my time here at UCSC. By stepping out of my comfort zone and taking a risk, I was able to move past my fears and build truly meaningful connections. What exactly does it mean to step out of your comfort zone? Well, to me, stepping out of one’s comfort zone means breaking boundaries and trying something new, or challenging. Of course, this doesn’t mean you have to try something that absolutely terrifies you or makes you cringe. I believe that this “something new” should be a good balance between comfort and discomfort. Moreover, stepping out of your comfort zone doesn’t necessarily mean that you have to make a BIG change, either. It can be as simple as ordering something other than your go-to dish at your favorite restaurant, or enrolling in a dance class when you know you have two left feet. Little steps like these are a good way to ease yourself into moving out of your comfort zone, and may even prepare you for a situation in which you have no choice but to step out of it. Another thing to note about stepping out of your comfort zone: it doesn’t have to be planned; it can be a spur of the moment decision. In fact, I’ve found those spontaneous decisions to be the most satisfying. Taking risks is an essential part of stepping out of your comfort zone and making room for personal growth. We make it difficult for ourselves to grow personally if we are always sticking to the same routine and do not instead embrace the fear of taking risks every now and then. By stepping out of your comfort zone, you are allowing yourself to be more aware of who you are, realize your strengths, weaknesses and potential, self-improve, make connections, and so much more. I am about to graduate, and reflecting on these past four years I’ve realized how important it is to challenge yourself and take a stab at something different. To be honest, I haven’t stepped out of my comfort zone all that much over the past four years. But when I think about the times that I have, I am glad and proud that I did. The only regret that I have is that I didn’t do it more. But, I also know that it is never too late to make this kind of change. I understand that this is easier said than done, but trust me, you’ll never know until you try, and when you do try I think you’ll be pleasantly surprised. So, don’t be afraid to be bold, trust yourself and let go. As the month of May comes to an end, Peer Educator Erika Garcilazo reflects on the importance of fighting the stigma of mental illness and reaching out to others for support. May is Mental Health Awareness Month. But what exactly does that mean? It seems like we have so many awareness months it’s hard to keep track of them or even really know how we can participate. When it comes to awareness, the first step is to look within yourself and how this issue has affected or currently affects you. 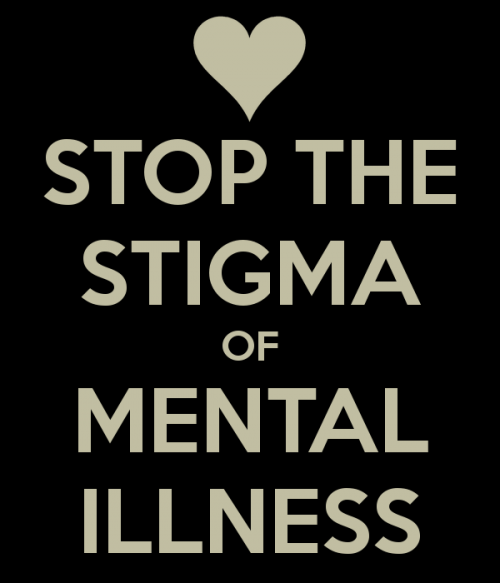 I think the first thing that many people notice about the topic of mental health is the stigma. Many of us are afraid to share our struggles, and even more notably we are afraid to ask for help. I definitely have experienced the reality of this stigma first-hand. There have been many times in my studies here at UCSC where I was juggling various personal issues, some of them relating to mental illness. I felt that if I shared this with anyone, I would seem weak or I would somehow be less than a productive and intelligent student. There were many factors contributing to me feeling this way; having already felt out of place in higher education as a first generation student of color, my mental illness made my experience as a student that much more difficult. I felt alone and lost. This isolated outlook on what I was going through kept me not only from getting the help I needed, but made me feel unworthy of the opportunities surrounding me, pushing me deeper into my depression. At times it seemed as though I was the only one going through these feelings, and that was a very scary place. Thankfully I was able to reach out and find the support and help I needed. I realized I wasn’t alone. It took me a while to learn to manage my mental illness, and even now I still have bouts where the struggle becomes daunting. But I’ve learned that although this is something I will personally have to manage throughout my life, I can be happy and I can be productive. Even though I may fall off the horse every now and then it gets easier to get back on every time. Not too long ago it would have been impossible for me to share this story, but I’ve tired of the stigma. I hope that in sharing my experience, those who are going through something similar will be empowered to break the silence and ask for help. You are not alone. The truth is 1 in 4 of individuals in the US struggle with some type of mental illness throughout our lives. Being a student can be hard. For many of us it comes with unique struggles and barriers that at times culminate into a challenge that can seem insurmountable. Fighting it alone makes it that much more difficult. Never be afraid to ask for help, even though at first it can be hard to do so. Some people may not understand, and it may take a couple tries before you find the help and resources that are right for you. But take it from me the more you practice the more you start to realize you are never alone. This month of May lend an ear to a person in need, or even better yet begin the conversation by breaking your own silence. Hello all! As some of you may know, I will be graduating from UCSC this spring and attending University of the Pacific for my Master’s program in Speech Language Pathology in the fall! It’s definitely a bittersweet feeling, but I’m extremely excited for graduate school! 1) Start EARLY. The earlier, the better! Graduate schools often change their requirements year to year, and the application portals don’t typically open until October. Still, looking at the prerequisites for grad school as early as possible is vital. For example, as a psychology major, I never needed to take biology or chemistry classes. I was really shocked to find out that those were two requirements for the graduate program I wanted to pursue, and I managed to squeeze those classes in during spring quarter of my junior year. If I had done my research earlier, I wouldn’t have been so panicked! ICYMI – CAPS has a Relaxation Station! CAPS Peer Educator Marisa Patel shares the outcome of her outreach project this year. Read on to learn more about the Relaxation Station launch last month! CAPS RECAP: THE INSIDE SCOOP ON OUR RELAXATION STATION! In case you haven’t heard, the Relaxation Station Launched! What is the Relaxation Station, you ask? It is one of CAPS’s many resources to improve your self-care habits. The Relaxation Station, located in the CAPS waiting room, has a state of the line massage chair that you are welcome to use for 15-minute intervals, free of charge! Along with the massage chair, the Relaxation Station has an iPad from which you can access audio-guided relaxation exercises while getting your massage. Some of the apps included on the iPad are MindShift, CBT-I Coach, and PsychMeUp. Feel free to check out these apps and download them on your mobile phone, too! While waiting your turn to use the Relaxation Station, you can use the laptop in the waiting room that provides biofeedback programs and games. 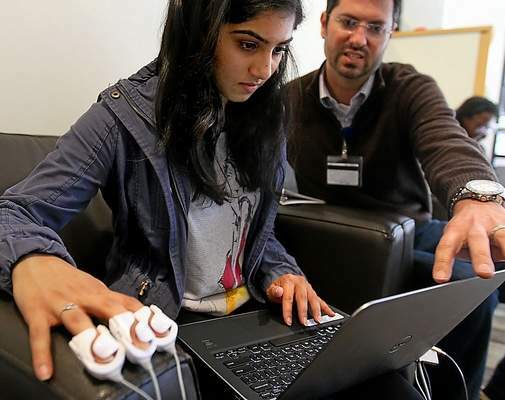 The biofeedback programs and games measure your stress levels and give you feedback so that you can learn to exercise some control over your stress levels. The Relaxation Station launched just a few weeks ago on April 25th, and the Santa Cruz Sentinel covered the event—check out hyperlink! The launch was successful and I’m very proud of how everything turned out. I’d like to give a big shout out and Thank You to everyone in the Peer Educator Program, and Dorje Jennette. Dorje is a licensed psychologist and the Associate Director for Clinical Services at CAPS. He was the lead developer of this project and he contributed an immense amount of time and work to the development and launch of the Relaxation Station. Thank you, Dorje, for guiding me and allowing me to help you officially launch this project. 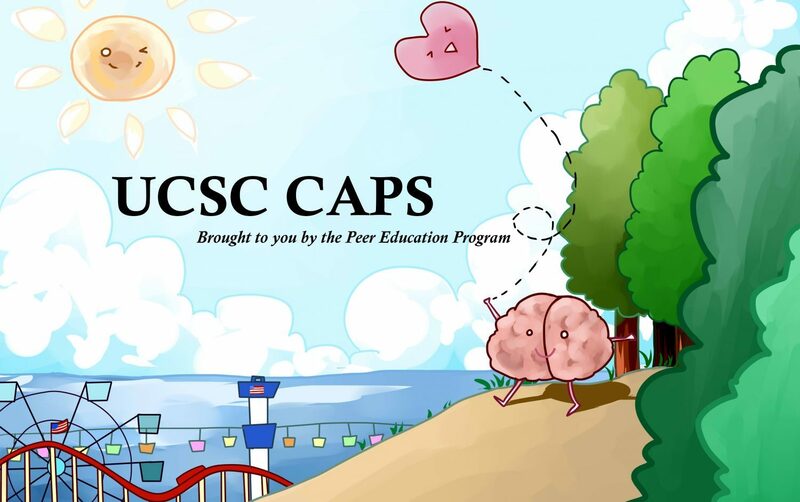 I hope you all take advantage of this great resource that CAPS has to offer. Don’t forget to grab a gift bag on your way out! CAPS Peer Educator Hilaria Barajas shares her personal experiences with the grieving process and offers advice on dealing with this difficult situation. The loss of a loved one can be a very painful and confusing time. Whether it come predicted or not, when a loved one passes sometimes you feel as if your whole world has come to a pause. There is never a right or wrong way to deal with death. There are different stages of the grieving process and you might not experience all the stages. That‘s ok. It is important to remember that everyone goes through their own personal grieving process at their own time, and there is no “right” way to grieve. My mother passed away when I was 17 and I was a senior in high school. She had been dealing with diabetes since I was born but she was strong. Although she had some rough times in and out of hospital because of her sickness she still seemed unfazed and continued to dedicate herself to her family. However, November 7th, 2012 was the last day she would be able to continue with her incredible strength and passed away from a stroke. Peer Educator Camara Chea continues to give great advice for how you can practice self-care and feel better about yourself. To read Part 1 of this post (and see Camara’s first three tips for self-care), click here! Hi, you! 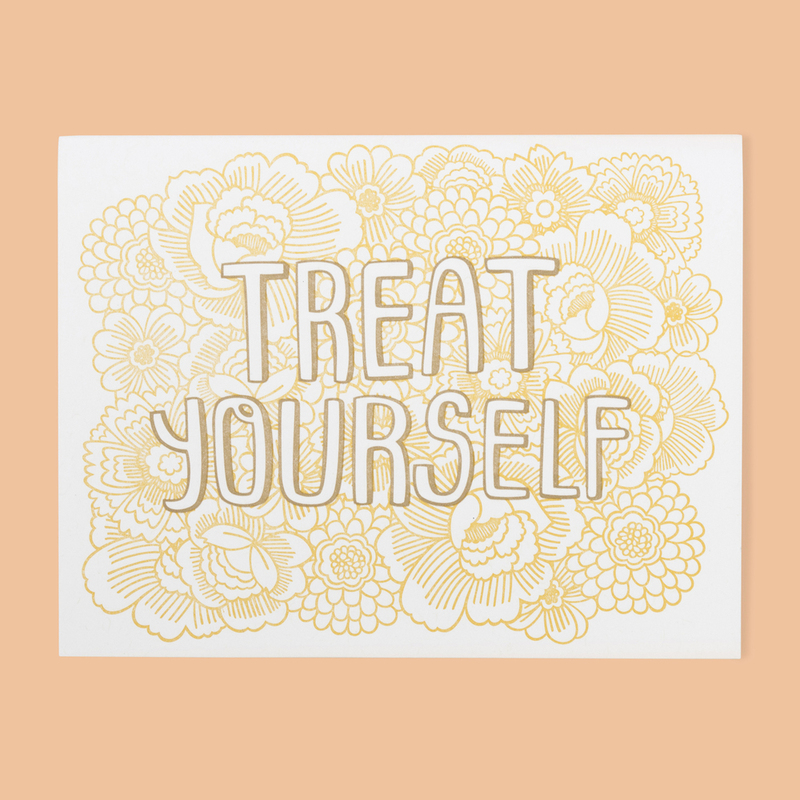 Welcome to the second part of “TREAT YO SELF”! In this last post of the two-part series, I will talk about other strategies that you can use to improve your well-being and mental health. If you haven’t read the first part, I really recommend that you check it out. It’s really important that you take time to do things in your life that make you happy and improve your state of being. Balance is key. Especially now that it is midterm season here at UCSC, hitting the books might be the only thing on your mind. But remember, all things in moderation! So even though you may be in a studious frenzy, don’t forget to get enough sleep, take care of your needs, and be kind to yourself. And now…here are the rest of my tips! One thing you can do to nurture your well-being is to connect with others. Developing strong, healthy relationships with other people can lead to greater feelings of happiness and belonging. But remember, it’s about quality, not quantity. Instead of focusing on likes or online friends, try turning your attention to making real connections. Especially in college, it’s vital that you satisfy your need for interaction. If you feel that you haven’t, try getting out of your comfort zone: talk to someone new, get involved (Student Clubs & Organizations), and spend quality time with family and friends. Building and maintaining these relationships can add meaning and enjoyment to your life, as well as improve your communication skills. Peer Educator Camara Chea shares three of her favorite tips for staying de-stressed and discusses the importance of self care. Stay tuned for her next update, where Camara shares four more tips to enhance your well-being! As college students, it seems like we’re bombarded with heaps of information and overloaded with things to do. Maybe you have a job, maybe you’re heavily involved in extracurriculars, maybe you’re trying to do really well in your classes, or maybe even all three…! And on top of that, perhaps you’re feeling overwhelmed with emotions. You may very well be feeling emotions like stress, excitement, fear, happiness, gloom, loneliness, hope, and more. However, when you get to that point where everything spills over, both you AND your mental health suffer. In the shuffle of life, it’s easy to lose sight of yourself and forget to practice self-care. Just as you would tend to a puppy with lots of loving support, constructive criticism, and mindful actions, it’s important to do these things for yourself as well. Our well-being, which is defined as our personal state of being comfortable, healthy, or happy, is one of the most integral aspects of ourselves. Sadly, many of us ignore it in our day-to-day lives. There are various things that you can do to improve your well-being. In Part 1 of this 2-post series, I will give you some tips on how to treat yourself. One thing you can do is practice mindfulness. With this strategy, it’s more about trying to be more aware of your environment and experiences. This can positively enhance your self-understanding and let you live in the moment more. Be curious of the world around you. Take some time to reflect on your surroundings, your thoughts, and your emotions. By doing so, you can help reduce stress, better focus, and enhance self-insight. Examples include writing in a journal, blog, or vlog; doing some yoga; or drawing whatever you feel like drawing. Harvard Health provides a lot of really cool information on mindfulness. Another thing you can do is simply take a break. I know it might be challenging to specifically give yourself downtime when you have so many things to do, but carving out a break can actually be good for you. If you push yourself too hard, you may incur feelings of burnout or inattention.Try doing something to clear your mind every once in a while. Let yourself laugh, smile, and just feel. On a daily basis, it’s important to give yourself little breaks so that you can recharge and come back stronger than ever! For example, you could study or do homework for an hour (try to avoid distractions if you can! ), take a fifteen minute break, and then work for another hour, and so on. Something I really like to do at the end of a busy week is set aside time to watch a movie or a few episodes of a show. Other suggestions include going to a college program, listening to music, taking a walk, reading a book, take a bubble bath, and exploring Santa Cruz, etc. The third tip that I have for you today is for you to be good to your body. Your mental health is connected to your physical health, and vice versa. Practicing healthy eating habits, getting enough sleep, and being physically active are all ways of being good to your body. Did you know that exercise increases the release of endorphins in our brains, which help us to relax and feel good? Did you also know that most college students don’t get enough sleep? It is true that sleep is often neglected due to the various demands of our daily lives, but, please, treat yourself with enough sleep to perform optimally! Harvard University also has a really neat website that offers a lot of information about sleep and improving one’s sleep. To be good to your body, try to plan your day so that you can finish what you need to do and go to bed on time; eat portions appropriate for your metabolism and activity levels, at regular intervals; and walk to class instead of taking the bus, go for a jog through our beautiful campus, or just do something active that gets your heart racing!